Is there any #MotivationMonday better than Marathon Monday? I spent most of Monday in front of the TV at work. My 10am Monday class participants were all no shows, which allowed me to catch the start of the race and I took an early lunch so I could be home to watch the elites finish. So for some post-Boston thoughts… Edna is a beast. Desi is a fighter. Meb always inspires. I’m proud of Abdi for placing 6th overall. I cried with Jordan during her post-race interview. I felt nerves and anxiety all morning as if I was running. I also felt the heartbreak that so many faced with the high temperatures and less than ideal conditions. 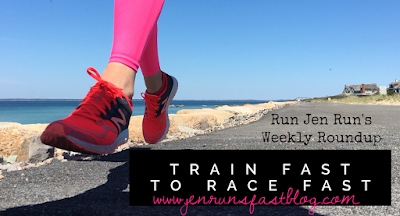 Those external factors that we cannot control are one of the reasons I hate running… no really, I sometimes hate it. So many trained so hard for 4 or 5 months and were ready to run the race of their life until they got to the start line and it was 81 degrees. Chasing the perfect race and perfect conditions is what keeps a lot of us runners running. It’s out there. And I’m so proud of everyone that crossed that start line and gave it everything. As for me… I didn’t run all week. I didn’t even take Georgie for a walk. I tried spinning on Thursday and aggravated my hip jumping on the pool deck during Power Water. The good news of the week is that I started physical therapy with Kathy first thing Friday morning! I am so thankful to work for such a great company. Kathy is the co-owner of Cape Cod Rehab and she spent almost two hours with me evaluating and treating with ultrasound, e-stim, massage, soft tissue mobilization and kinesiotaping. Friday night I went back to work to swim laps. Kathy told me to do light water walking but I needed to get in some cardio. I stayed in for 100 laps of our 46 foot pool then went back on Saturday afternoon for 30 minutes of deep water walk/running. I was proud of my two trips to the pool but Kathy said I overdid it. Oops! · Georgie and I met my parents at Somerset Creamery for my first waffle cone of the year! · I got a sneak peak at the Spring #ShokzBox! BibRave partnered with AfterShokz to put the hottest running gear together in one sweet package and I will be receiving one to gift! For more info and to get on the email list, visit shokzbox.aftershokz.com. · 4 weeks until the Piggy Trot! 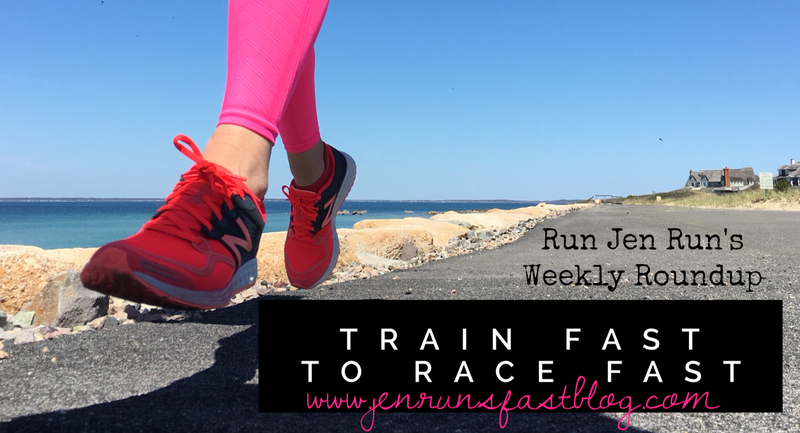 · 5 weeks until the Buffalo Half Marathon!